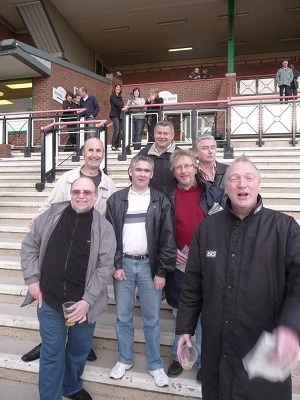 Our meeting on Monday 18th May 2009 was a night at Dunstall Park Horse Racing Park in Wolverhampton. Thanks for organising such a great evening, hugely enjoyable. 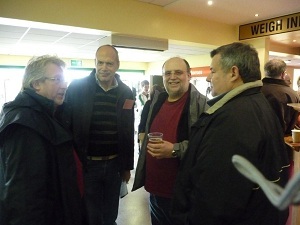 I was very lucky - mainly because after his tip for the first race I decided to ignore 'Wozza's Dad'! 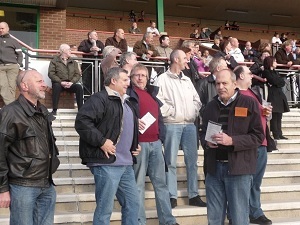 The package included entry to the grandstand, racecard, vouchers for three drinks (worth £2.50 each) and a discounted betting voucher - all for a price of £15 per person. For those who wished to have something to eat during the meeting there was bar snacks available. The first race started 6.50pm. Please note that tickets had to be booked in advance and therefore there are no refunds. had a good evening's entertainment. would like to thank him for the tips.